The African super group One 8 continues to become as diverse as ever with the addition of a very talented musician from Congo DRC called Fally Ipupa. 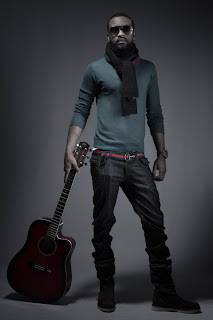 Born Ipupa Nsimba, Fally is a singer, songwriter and respected guitarist who was born and raised in Kinshasa, DRC. Like many young performers of his generation, music was not considered more than a hobby and studies were forced to take priority over the young man’s passion. At a young age the singer started playing in various small groups on Congolese streets until he was eventually noticed by the acclaimed group Quartier Latin, who scooped him up to play guitar for them. Over the next ten years he honed his craft under the watchful eye of his mentor, Koffi Olomide. Fally ended up composing two of Koffi’s biggest hits, namely ‘Eternellement’ on the album Force De Frappe in 2001 and ‘Ko Ko Ko Ko’ on the album Affaire d’Etat. This fast rocketed him to the position of band composer despite a young age. Fally’s influences and creative spirit saw him dreaming of creating a new sound. Feeling the constraints of Latin Quarter, he eventually had to break free in order to pursue a solo career. His first solo album was released in 2006 and Droit Chemin sold over 100,000 units, spawning the hits ‘Droit Chemin’, ‘Liputa’ and ‘Kidiamfuka’. In 2007 Fally was acknowledged by his peers in the music industry when he won the Best Male Artist Cesaire Award and Best Artist or Group from Central Africa in the continental Kora Awards. Fally Ipupa’s silky smooth voice soon reached the hearts of many, both in DRC and internationally, due to his blend of various musical styles including soukous, ndombolo, pop and R&B. 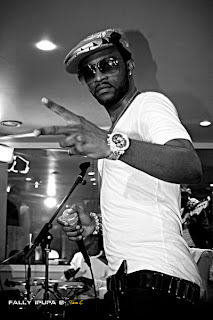 In 2009, his album Arsenal de Belles Mélodies received much media attention and rare reviews, with hits like ‘Chaise Electrique’, a duet performed with Olivia from the group G-Unit. That same year, he participated in the “MTV Awards Made in Africa”, where he performed his hit ‘Bicarbonate’ for millions of viewers. Fally is the first Congolese artist of his generation to attempt an adventurous musical career which combines innovation and tradition. His fans and media alike have named him a prodigy who lives for his time without forgetting his roots. It’s this créative spirit, incredible talent and youthful passion that makes him a perfect addition to the ONE8 team.